The only scrap gold, silver and platinum buyers and refiners you will ever need! Serving jewelers, goldsmiths, dentists, dental laboratories, industries and companies generating precious metal scrap, physics departments, pawn shops, metal detector hobbyists, and the general public. 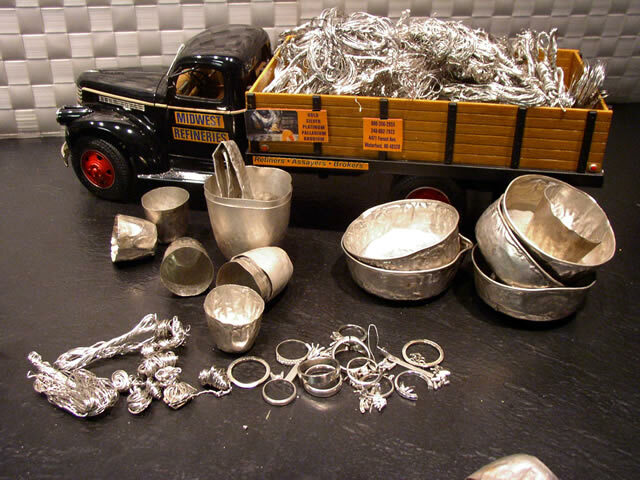 Scrap gold, silver and platinum refiners of choice by countless jewelers and goldsmiths. The right smelter to sell any amount of gold, silver and platinum scrap metals. 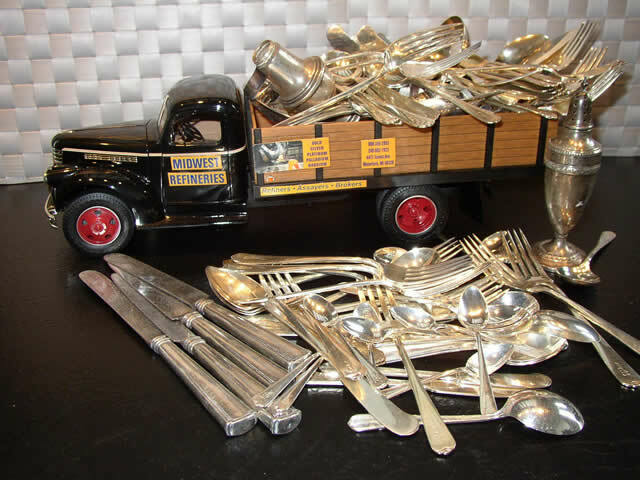 No minimum amount of scrap gold, platinum and silver. No amount too small or too large. No gold, silver and platinum refiners’ fees or refining charges! No gold, silver and platinum assay fees! No scrap gold, silver and platinum treatment charges! No inbound troy ounce weight charges on any gold, silver and platinum bearing precious metal material! No costs to sell gold, silver and platinum to Midwest Refineries. We do business the old-fashioned way! Integrity, trust and service in precious metal refining. Increases in payables on gold, silver and platinum! NO OTHER CHARGES OR FEES! 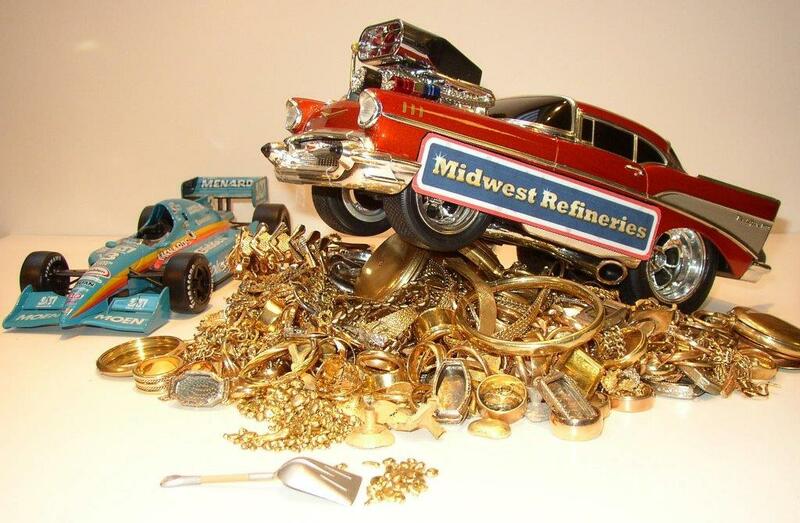 Many of the images of precious metals on our web site were taken using scale models from Midwest Refineries’ die cast metal toy collection. My Grandfather and Father started our family business in 1939, serving jewelers and goldsmiths, dentists, jewelry manufacturers and companies generating precious metal scrap. From the very beginning my Grandfather always spoke of the lifelong value of each new customer they acquired. He was a firm believer that the best customers any business could possibly have, are repeat customers. He also felt very strongly that he had to earn their customers trust for them to continue to do business with him. That trust was built on honest, fair, and dependable fast service which put their customers’ needs and interests first. That philosophy has remained the primary focus of Midwest Refineries to the present day. Now, I am the Grandfather, leading our family business through four generations of precious metal refiners. We have never lost sight of our continuing commitment to serve our customers with integrity, trust and dependability. Our fast turn-around time on all gold, silver and platinum scrap metals and our accurate, honest assays, are the main reasons we have remained in business all these years. We invented “no charges and no fees” refining or buying of gold, silver and platinum scrap. We invented “no minimum amounts” of gold silver and platinum scrap we would accept and buy. 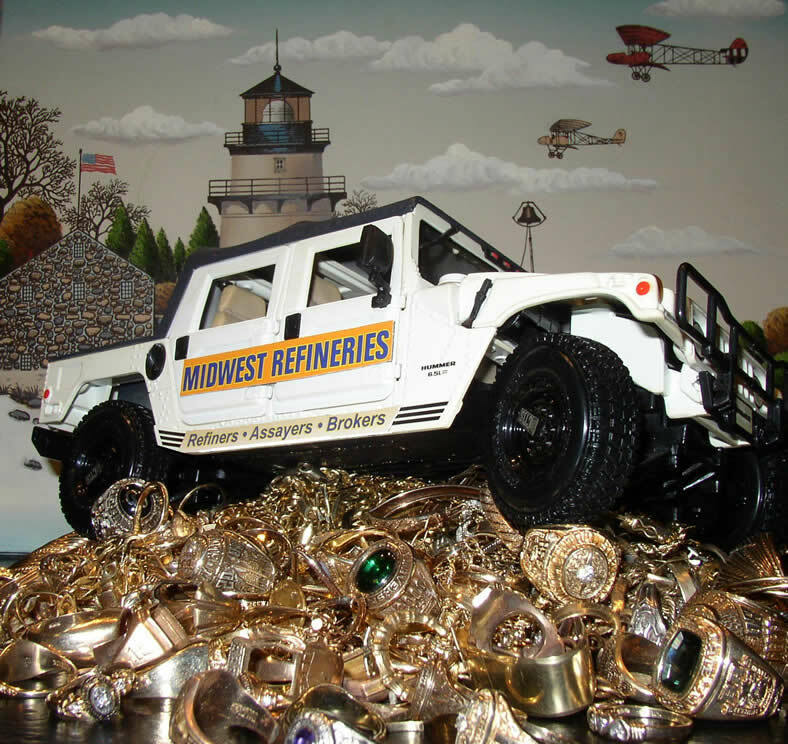 We realize and take seriously; how important and valuable your precious metals are to you. I would like you to know that, all our customers, large and small, are treated with respect and importance, the same way we ourselves like to be treated. I would also like to assure you in knowing your transaction with Midwest Refineries, will be a positive one. After all, we want your business, not just once, but continuously. Your precious metals will always be handled in a straightforward manner, insuring you receive the highest settlements you are entitled to. No excuses, no disappointments and no hassles. Our competitors know who we are and so should you. We would appreciate being of service to you as buyers, smelters, recyclers and refiners of all your gold, silver and platinum metals. We’re confident you will join the ranks of thousands of satisfied and loyal customers worldwide. You have my word on it.